Fact: If stores plan holiday season well, they can make profits worth months in just a week! Here are tools that will help you to sell more this holiday season. Holidays are packed with festivity. Surprise your visitors not just with offers but they way you present it to them as well. You can insert a coupon code in a nice looking popup, announce an offer in a colorful hello bar or just greet your visitor using a messenger. With Icegram plugin you can set up these messages in minutes. Icegram will instantly beautify your regular website making it look nice and welcoming. Don’t just create one offer and run it on the entire site. It might not give you the best results. Instead create multiple offers and let your customers decide which one appeals to them the most. Using Smart Offers you can easily create such offers and target them on your website. For example: When a visitor lands on your site, you can show him offer 1, if he accepts it you may show him offer 2 which is mostly an upsell. Now suppose he rejects offer 1, you can show him another offer 3 which will be a downsell. You can also put up an offer just before the customer is about to leave your website. This technique will assure you atleast per sale per visitor. Cart abandonment is a serious issue faced by stores. In 2015, this rate rose to a steep 68%. One of the most strong reasons why your customer abandons the cart is a time consuming checkout. If you are successful in making a checkout faster, you can step up your sales by 12%. Interesting right? The answer to the big how to make checkout faster is the Buy Now plugin. It provides you the fastest checkout. If a client has previously purchased an item at your store, it stores the credentials of the client and automatically fills in ones the client clicks on to checkout. If your payment gateway supports saved cards feature, then Buy Now will securely process payment automatically and thus client need not waste time filling extra info each-time. It means faster stress-free checkout for the customer and quicker guaranteed sales for you. Holidays are special worldwide. But then there are important days which are only special in a few countries. For example: St. Patrick’s day is a big day in Ireland. On this day, you can set up discount coupons which will be visible only to the people that visit your store from Ireland. Thus making them feel special and making you some extra sales. 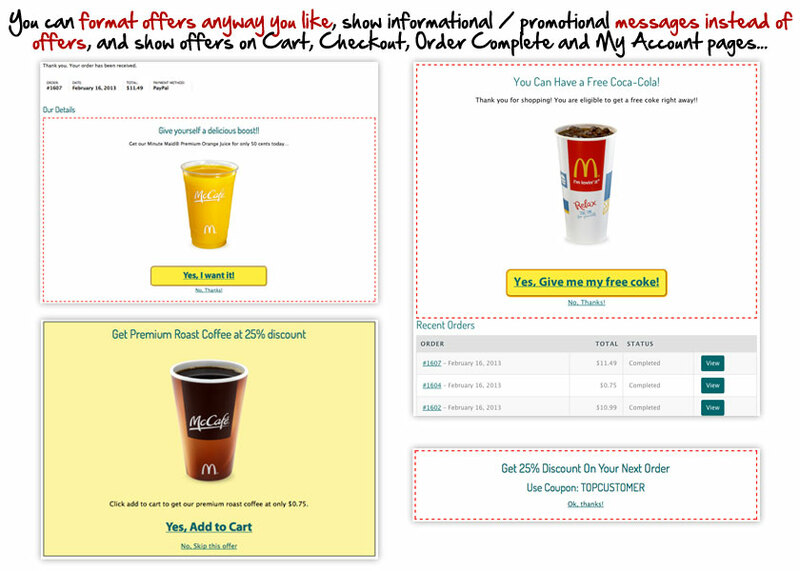 Using Coupons by Location, you can easily setup such country specific coupons on important dates. 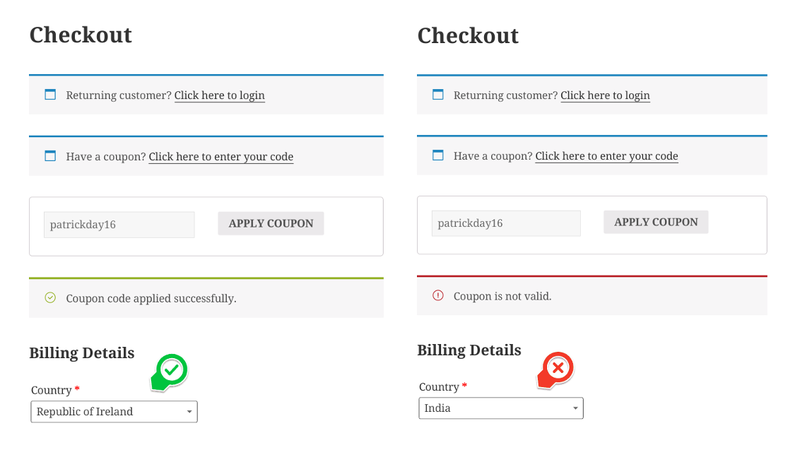 The plugin handles everything from matching the visitors location with the country location and accordingly decides whether to display the coupon or not. All you do is select the country you want the coupon to be visible for. 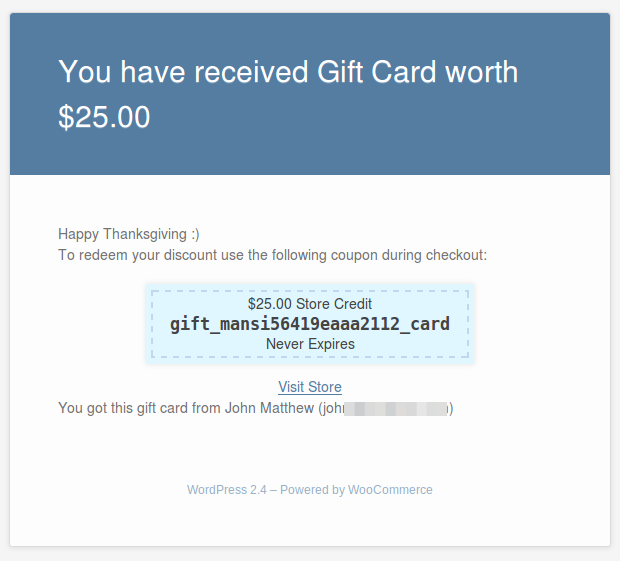 Smart Coupons is a product that let’s you create and send gift certificates on your store. Holidays is generally the time we catch up with friends and family. It’s the perfect time to shower our loved ones with gifts. But finding the perfect gift is a task feared by many..
As store owners, you can give your customers a solution to this dilemma. You can allow them to buy gift certificates instead of individual products. Customers can send these gift certificates to friends/family, which they may redeem on products of their choice later..
You may either decide the amount of the gift certificate beforehand or make let the customer decide it for himself. Either way, he will be thankful as he doesn’t have to spend time browsing fort he perfect gift anymore. Once you setup the offers, do not let them go un-monitored! Check the stats and make necessary changes if required. i. General Analytics – This is nothing but checking out the overall performance of your website. Google Analytics is an excellent tool you must look at while figuring out the general stats like the number of old and new visitors, page-wise performance, visitor demographics, the flow of visitors across your website etc. ii. Sales Analytics – The Holiday Sale lasts for a week. So you could experiment and change strategies throughout inorder to gain maximum profit. Before strategizing, you should know the sales figures of each products, offer. Only then you can conclude if a offer is working or not. Using Putler, you can check the the sales figures in real time. It gives you an aggregated view of all the sales that is coming in from multiple websites, enabling you to make quick decision on sales strategies. 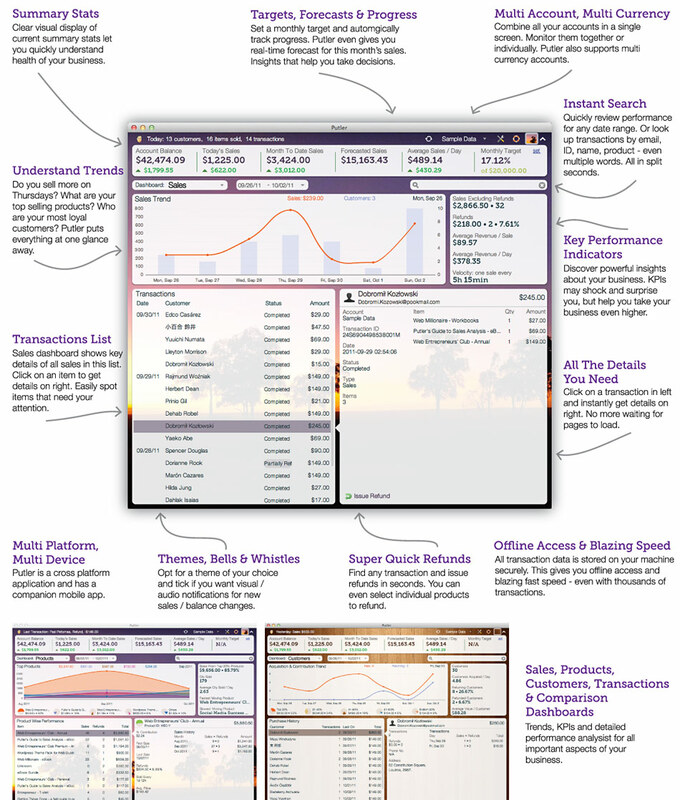 Putler also provides you the customer dashboard, which gives information about the the top buyer and the items purchased. With such useful statistics, you may want to give your top buyers an additional coupon as gratitude or upsell complimentary products to customers or change a offer that’s not performing well. Bottom line : You can monitor everyday sales, measure what worked and what did not, make changes and achieve higher sales the next day! 7. Invite people to your website. Send them an E-mail. You cannot expect truckloads of traffic coming to your website on the day of the offer if you haven’t made any promotions about it. The best way of ensuring traffic is sending promotional emails to your list…well in advance. You can schedule emails all throughout the holiday season but in order to get the right amount of traffic you need to start promoting them way before hand. Using a email tool like Klawoo you can schedule emails in bulk. 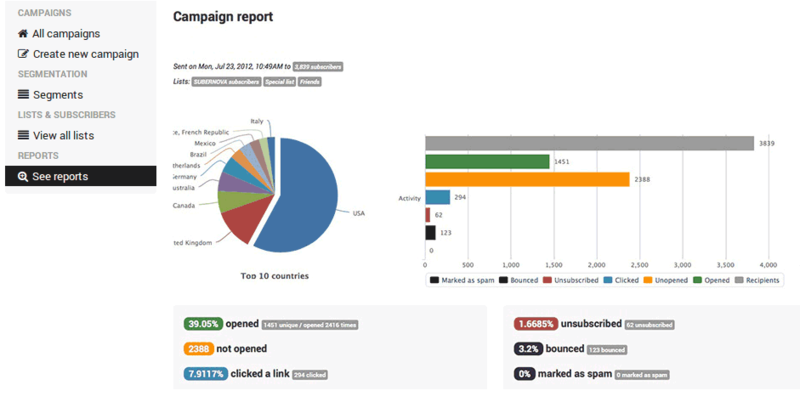 Once an email has been sent Klawoo also allows you to track the open and the click through rates. Thus, giving you all the information you needed to revise your later email campaigns. Try these really useful tools and make the most of the Holiday Season. You can try out our products on our Live Demo and let us know what you think of it. In the next blog, we will be focusing on multiple types of offers and will also share the secret of reducing cart abandonments. So keep a watch on this section.